Long wishing to bolster its Old Master collection, the Dallas Museum of Art announced today (31 May) that it has made major movement in that direction by acquiring a large panel by the late German Gothic painter Derick Baegert (around 1440-1509). 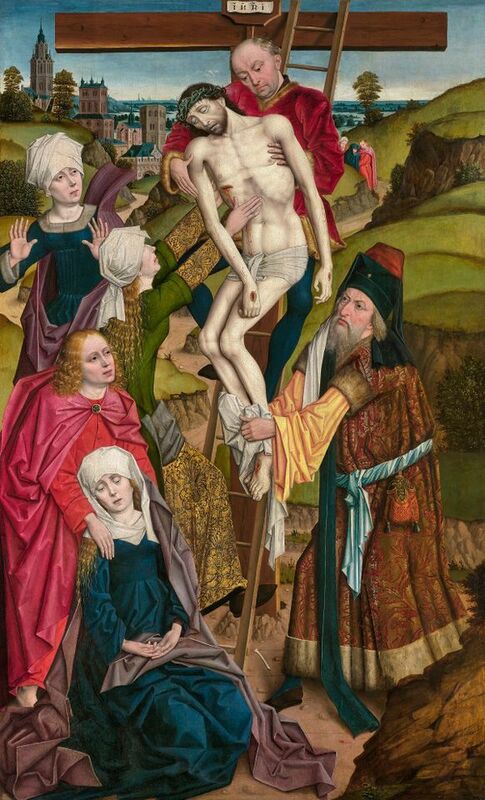 Expected to go on view in the European galleries this summer, The Descent from the Cross (1480-90) is the first work by the artist to enter a US museum, and it will not only fill a historical gap within the collection, but also formally introduce US audiences to a lesser-known master from the early Northern Renaissance. “I think this is an artist who is due for a reevaluation," says Nicole Myers, the curator of European painting and sculpture at the DMA. The Descent is the museum's first acquisition backed by the Marguerite and Robert Hoffman Fund, a hefty $17m endowment announced in 2013, and one specifically designed to help the DMA increase its slim holdings in work produced in Europe before the 18th century. The purchase of the Baegert also comes some six years after the museum's failed negotiations with the then owner of Leonardo da Vinci's Salvator Mundi (circa 1500) to acquire that work, which the Louvre Abu Dhabi ultimately snatched up for a delirious $450m at Christie's New York last November. Curators from the DMA first eyed the five-foot-high Baegert during the Tefaf Maastricht fair in March, where it was on view at the booth of the Munich-based dealer Daxer & Marschall. "It just bowled us over," says Myers. "This is really quintessential in terms of his style," she adds. "He's known for these unbelievably expressive faces, where each figure looks like a portrait." She observes how, for example, the eyes of the figure of Joseph, seen lowering Christ's body down from the ladder, are faintly red from weeping. The curator says the work rewards such close looking, "because there are details to be discovered in literally every square inch". For whom or what the work was originally commissioned is not entirely clear. Baegert ran a workshop in Wesel, Germany and was active there between 1440 and 1509, working in the wake of the new realistic tendencies forwarded by Jan van Eyck and Rogier van der Weyden. However, the work is notable for almost perfectly distilling this transitional moment between the late Gothic and early Renaissance. "It's this sometimes awkward spatial organisation for which he is known and it's probably one of the biggest signifiers of this transition, where the figures haven't yet been incorporated more fully into their setting," says the curator. "They stand out at a bit of a tension."